Rochester, NY – John B. Kaman, Christopher D. Giunta, David K. Farrington, with Cushman & Wakefield Pyramid Brokerage Company of Rochester, NY closed on the sale of 100 Rawson Road. Rochester, NY – John B. Kaman, Christopher D. Giunta and David K. Farrington, with Cushman & Wakefield Pyramid Brokerage Company of Rochester, NY closed on the sale of 100 Rawson Road. The Pyramid Brokerage Company team consisting of John B. Kaman, Christopher D. Giunta, and David Farrington are pleased to announce the sale of 100 Rawson Road, which is an 188,760 ± square foot building located in Victor, NY. 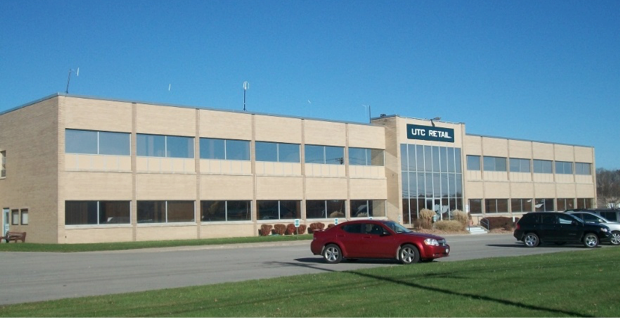 The property sold to a local investor and is a mix of office and industrial space which is currently fully leased. John, Christopher and David represented the seller in the sale transaction.